The boat in te afterday. Wonderful image Josй Sarmento... This is a Master Piece! Well done! Excellent! Congrats. The best image of the day! My good night friend Jose Sarmento. I already missed of being here with you and of could appreciate pretty pictures as this. oa Noite meu amigo Josй Sarmento. Eu jб tinha saudades de estar aqui convosco e de poder apreciar bonitas fotografias como esta. 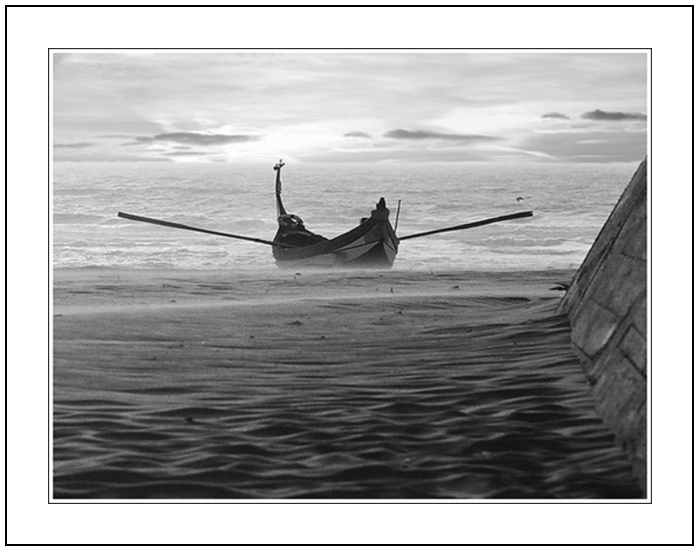 Very beautiful image, excellent grey scale, congrats Jose. Oh wow I love it ! Beautiful image and composition, well done! Beautiful work!Very well done B/W! What a great picture, Jose!!! Mais um grande registo, parabens !!! And this one is interesting!